My typical weekday breakfast is half a mango wolfed down on my way to the tube, so I usually go for broke on the weekends. Yesterday however, the sun was out and we decided our top priority was to get out and enjoy it. I whipped up a batch of the DAO Support Book Breakfast Bars (recipe available in the DAO Support Recipe Book for sale in my online store) but added generous globs of home made sugar free blueberry jam in addition to the berries. They came out deliciously gooey! 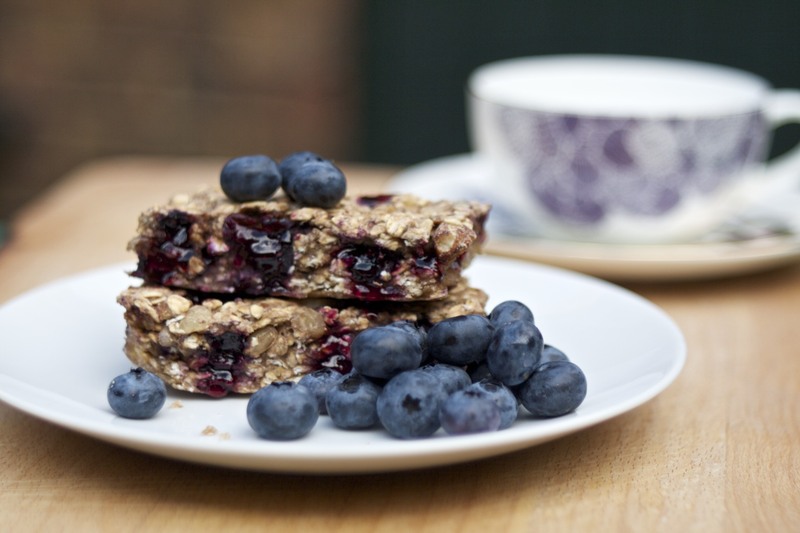 Here’s the low histamine, sugar free blueberry jam recipe that I added to the recipe book energy bars.